PLEASE BOOK EARLY. THERE ARE FOUR OFSAA EVENTS THAT SAME WEEKEND IN WINDSOR. 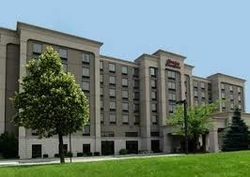 I have been fortunate to be able to negotiate with one of Windsor's finest hotels for a rate of $117 for a quad. 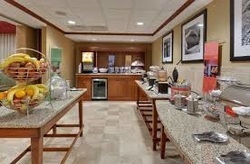 Not only is the hotel a beautiful brand new facility, but the breakfast is outstanding. It is not the usual Continental Breakfast. It is a full hot breakfast buffet with a variety of hot items which rotate daily such as eggs, waffles, pancakes or sausages. This alone will you to save money in being able to get a high quality breakfast for all your team. Mention Catholic Central Freeds Tournament. 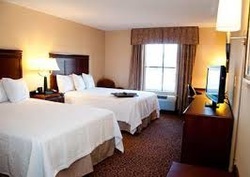 · Close to several fast food and family restaurants.